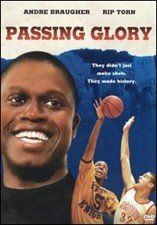 Set in 1965 New Orleans, this inspiring true drama stars Andre Braugher as priest and high-school basketball coach Joseph Verrett, who struck a blow for racial equality when he led his all-black team in a groundbreaking game against the region's top all-white squad. Rip Torn, Ruby Dee, Bill Nunn also star; directed by Steve James ("Hoop Dreams"). 94 min. Standard; Soundtrack: English Dolby Digital Surround stereo; Subtitles: English, Spanish, French. Daniel Hugh Kelly ... Mike Malone Sr.
Anderson Bourell ... Mike Malone Jr.